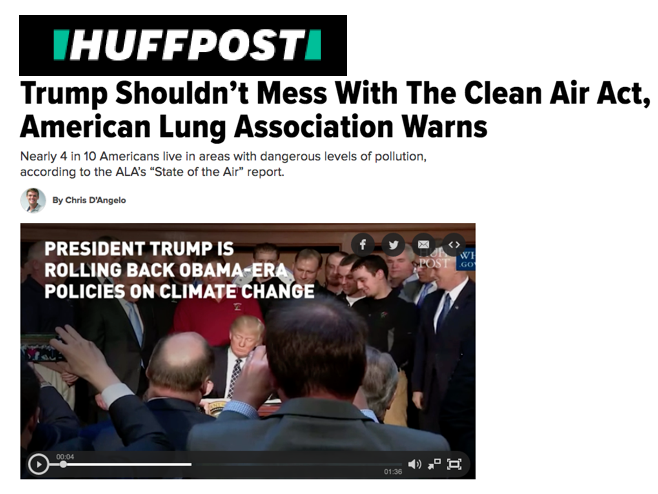 Since 2010, M+R’s strategic planning, messaging, organizing and media teams have been working with the American Lung Association (ALA) and their affiliates across the country to strengthen and protect the Clean Air Act. 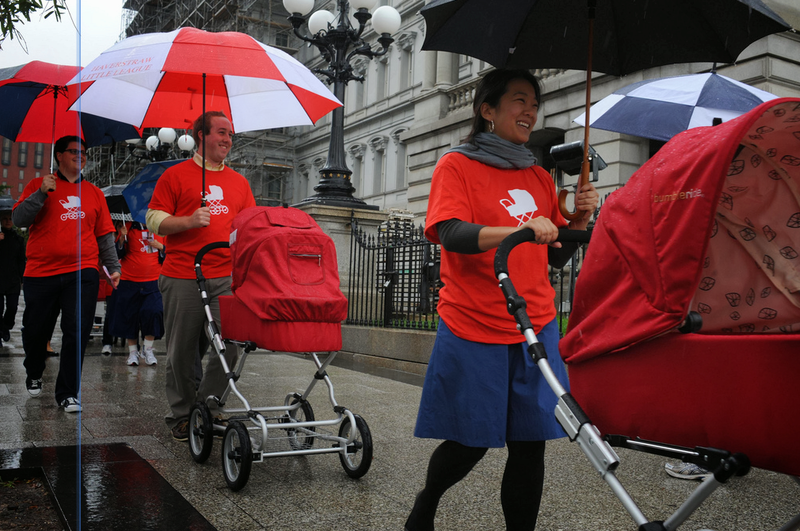 The organization and its network of health practitioners and parents is one of the most powerful voices in the environmental policy arena. We have helped give that voice a megaphone over and over. We helped make great strides under President Obama and are now helping ALA and the country onto those accomplishments as President Trump tries to walk the country backward. During our work together, we regularly get ALA and its expert voices in key local and national outlets like the New York Times, AP, Wall Street Journal, Washington Post, USA Today, NPR, Bloomberg, Politico, Boston Globe, Philadelphia Enquirer, Detroit Free Press and the Chicago Tribune. And we equip ALA’s state affiliates with the messaging and field support they need to make the case for clean air in meetings with their elected officials. As a result, the Obama Administration’s EPA set tighter limits on ozone, methane, and carbon pollution from car and power plant emissions. President Obama even joined an ALA-led call with health and medical professionals nationwide to emphasize how important carbon pollution standards are and the role of America’s public health community to move them forward. Today, the Trump Administration is facing a tough and publicly popular critic of their plans to delete our progress and put corporate profits ahead of public health. Opponents of the Clean Air Act are yet to win. And we’ll keep working with health voices like those with the American Lung Association to tell the story about health and clean air to defend against attacks and keep making progress.